Protect your mattress with an organic wool puddle pad. 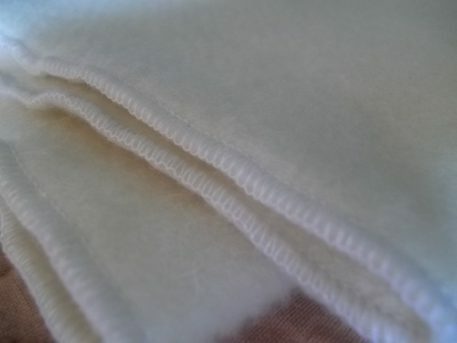 Because the wool fibers have been twisted around each other so tightly in the needle punching process, this felt will stop most all spills. Even water beading on top will resist being rubbed in. This is an excellent resource for parents with babies’ spit up, young children’s night accidents, children’s sickness. 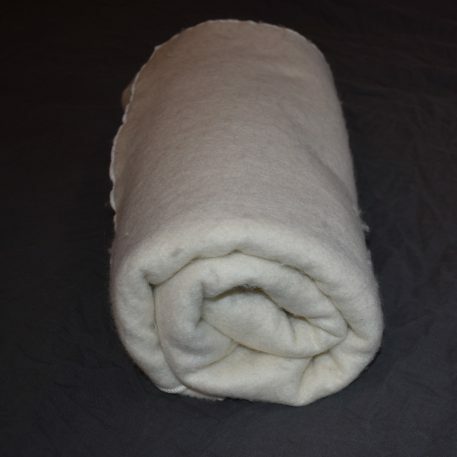 If you have night sweats, bringing this layer of wool close to your body will help with your temperature regulation as well as keeping your mattress white and clean. Drinks in bed will now be much less of a problem than they once were. 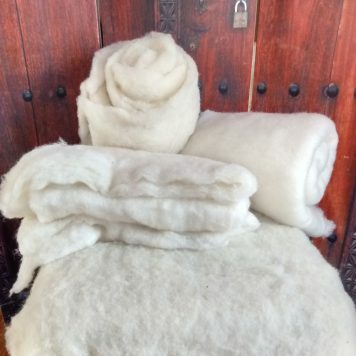 With this wool puddle pad, adult activities will be now be kept between you and your partner instead of being shared with your mattress. If you would like elastic straps sewn to the four corners, please let us know how deep is the mattress that will belong to this puddle pad in the Strap Depth dropdown box above. 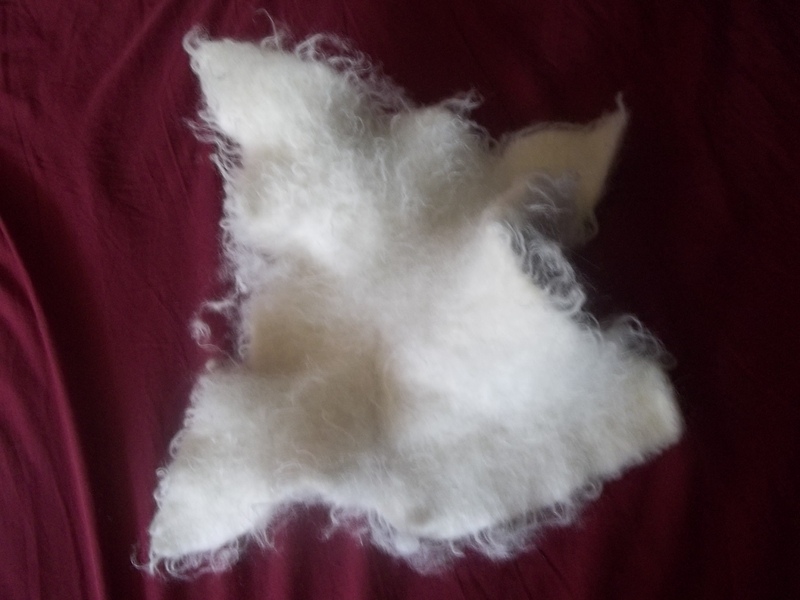 This wool felt is about 1 lb. of wool per square yard of fabric. It comes with its own warranty. 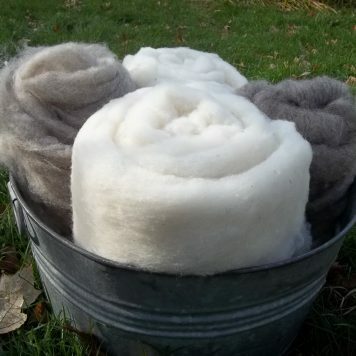 No Straps, 3", 4", 5", 6", 7", 8", 9", 10", 11", 12", 13", 14", 15"
To view the wool felt by the yard for your DIY projects, see its page. 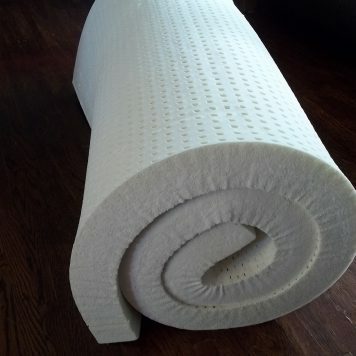 If you desire more water protection than the wool felt provides, you may lanolize your puddle pad. 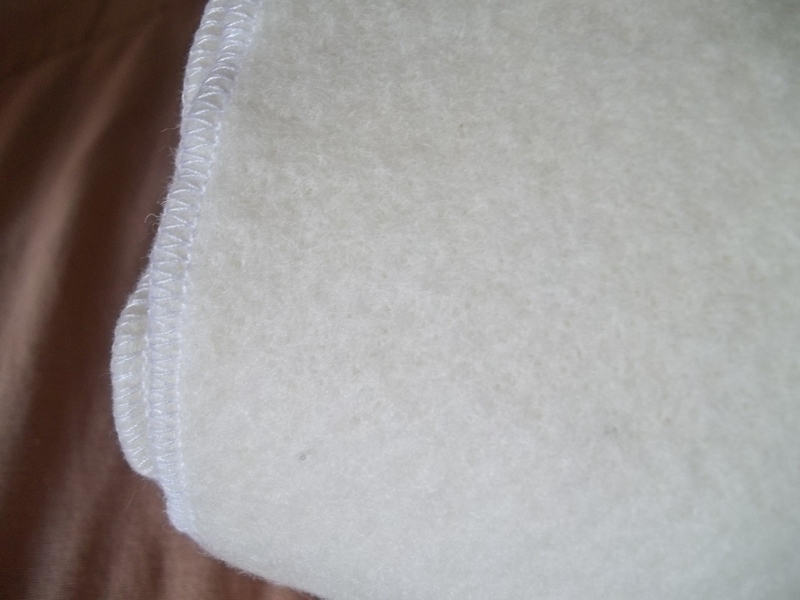 The wool felt on its own will protect against many spills, but it does clean up easier if it is lanolized. This is not a necessary step. You will find lanolin in most box stores in the baby bottle aisle. 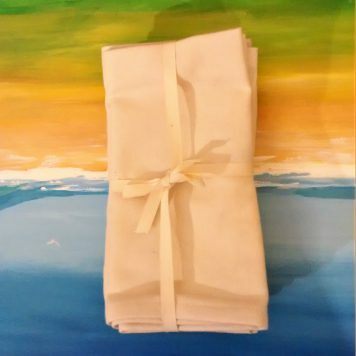 Throw in a little wool wash to increase the absorbency of the pad. Squeeze extra water out and let the spin cycle of your washing machine wring the rest out. 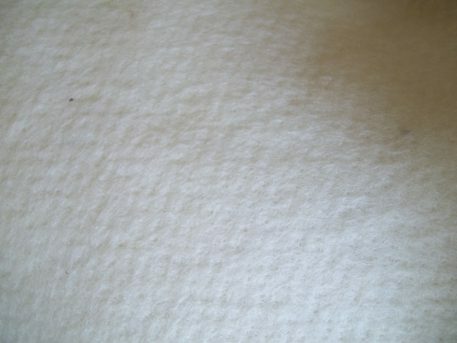 Should your wool puddle pad become soiled and need to be washed, you may HAND WASH it gently. Vinegar or hydrogen peroxide may also be used for sanitizing or spot cleaning. 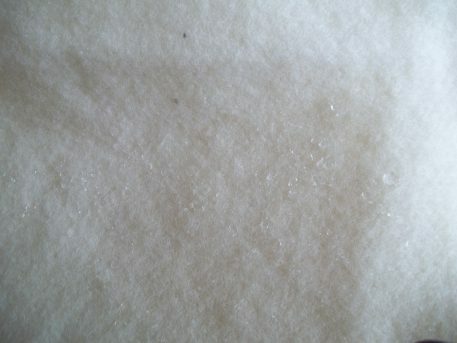 Shrinking is caused in part by the rubbing of the fibers against each other. As the fibers are rubbed against each other, they intertwine, shortening the length of the wool fiber. Avoid over agitating the wool. Avoid using soap unless necessary. Strong soaps will raise the PH of the wool and cause it to felt easily. Drastic heat changes in the water will also cause the wool to felt. Let your wool felt float, submerged in a tub full of tepid water. Drain water and press out the extra water in the felt. You may use the centrifugal force of the spin cycle in your washing machine to wring extra water out. 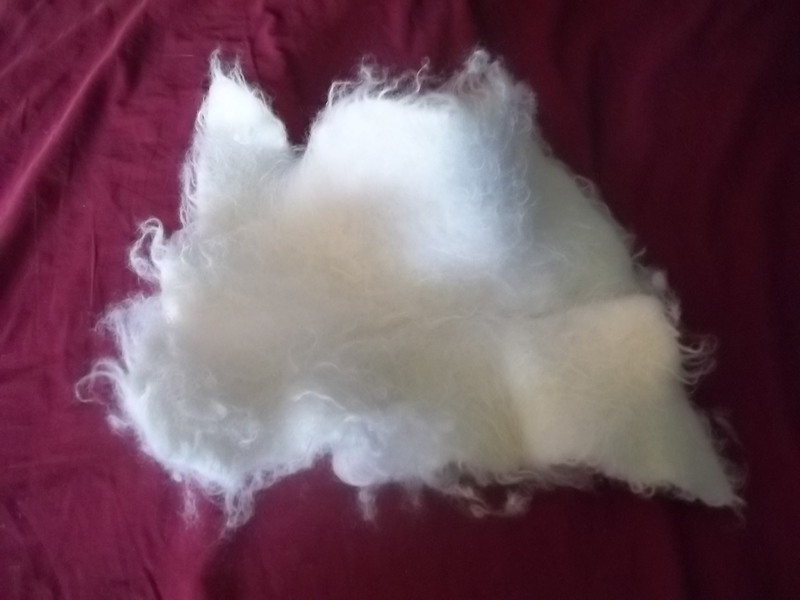 After it has dried for a day or so, you should have a fresh smelling wool puddle pad ready to use. While the wool felt is pretty stable, it can be shrunk and warped out of size fairly easily. 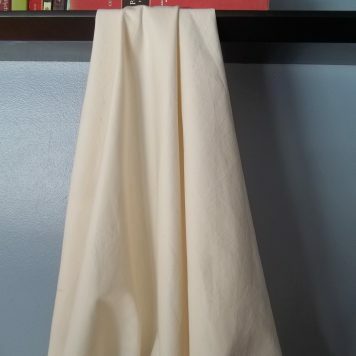 Here are two pictures of a 16″ x 16″ piece I threw in my top loading washing machine. 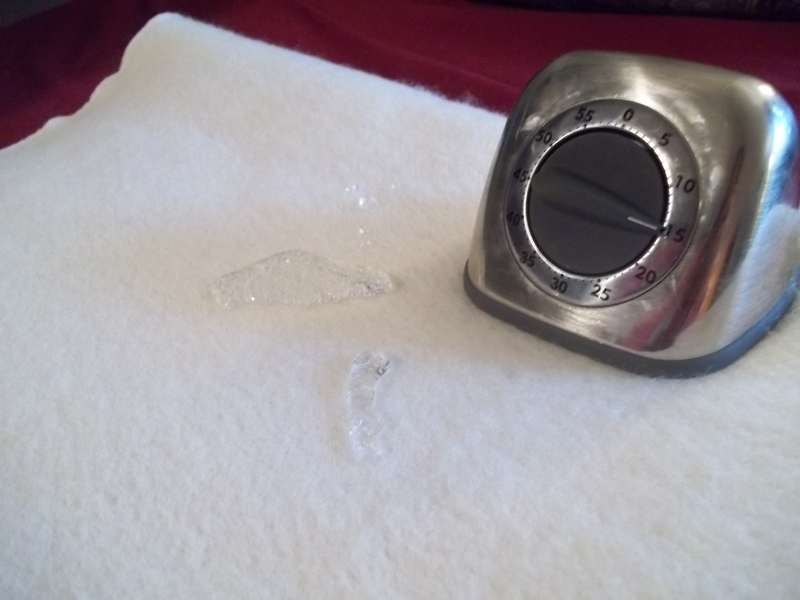 Granted, the machine had an excellent agitator, however I did not use any soap or dry the piece in the dryer.